The 10 Best Places for Fried Chicken in Oklahoma! 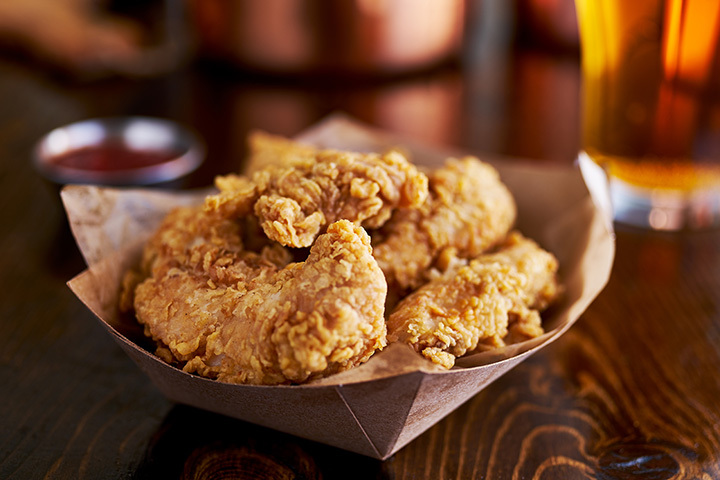 Fried chicken is a true Southern staple. Who makes it best has been a long-standing debate, but Oklahoma is a serious contender when it comes to this fried delight. Across the state, you’ll find classic joints serving up Grandma’s secret recipe, a modern twist on a tried and true practice, and so much more. Here are the 10 best places to get fried chicken in the state. Eischen’s is Oklahoma’s oldest bar. It’s unassuming, and you’ll want to make sure to have cash because they don’t take credit cards. But the chicken has got to be the most famous in the state. Make the drive. Eat the chicken. It’s absolutely to die for. Mama E’s wings and waffles were featured on Food Network’s “Diners, Drive-Ins & Dives.” The chicken wings just stand out when served on a fresh waffle with hot sauce and powdered sugar. There’s not much in Temple beyond this little restaurant that serves great steaks through the week. On the Sunday menu, they include fried chicken, which will take you back to your childhood. Railhead BBQ comes highly recommended by multiple food critics in Oklahoma. The fried chicken is one of their specialties. Soul food seems to always include fried chicken, and Evelyn’s does it right with all the southern fixin’s you could imagine, like candied yams, okra and tomatoes, and macaroni and cheese. Trains and fried chicken, what could be better? The restaurant is a refurbished passenger car of the original Southern Belle, part of the Kansas City Southern Railway. They’re known for their fried chicken. The Celebrity Restaurant has won an Oklahoma’s Best award and the Tulsa World ranked it high on their list of the best fried chicken places in Oklahoma. The chicken is dense and flavorful. Clanton’s is another Oklahoma favorite featured on “Diners, Drive-Ins and Dives.” They’re probably better known for their chicken-fried steak, but the chicken-fried chicken is pretty close to heaven. The service is awesome. One of the waitresses has worked there for 45 years, which says a lot about a place. This southern Oklahoma favorite still hand-breads and fries the chicken to order. It comes with all the sides you would expect, and make sure to try their homemade peach cobbler.